Alternately tender and terrifying, The Breadwinner is a treasure of a motion picture that was deemed worthy enough to be nominated for this year’s Oscar for Best Animated Feature (it lost to Pixar’s Coco). Awards or not, this is a touching that uses its stunning fluid animation to tell a story unafraid to confront mature subject matter with style and honesty at the risk of troubling younger viewers. Parvana (voice of Saara Chaudry) is a young girl living with her family in Taliban-controlled Afghanistan, where women have virtually no rights. When her father Nurullah (Ali Badshah), a veteran of the Soviet-Afghan War who lost his left leg during the fighting, inadvertently offends an intense Taliban officer, he is arrested and thrown into prison where it is impossible for his family to visit. 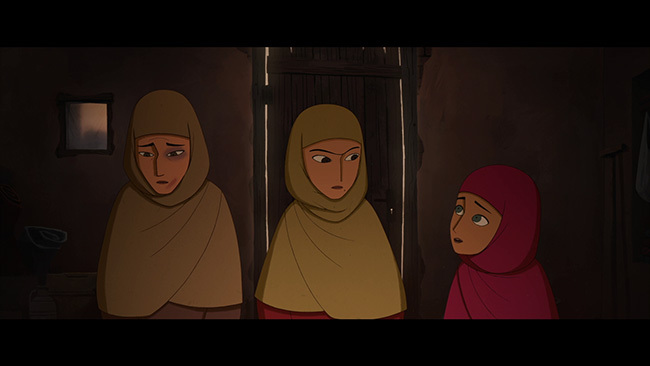 Parvana tries her best to support herself, her mother Fattema (Laara Sadiq), older sister Soraya (Shaista Latif), and younger brother Zaki (Lily Erlinghauser) during Nurullah’s unlawful incarceration, but she soon finds that the only way she can earn enough money to provide for her family and eventually visit her father is to cut her hair and pose as a boy. Taking the name “Aatish”, Parvana teams up with her friend Shauzia (Soma Bhatia), another girl pretending to be a boy, to navigate her way through a country tearing itself apart through way and prejudice to find Nurullah and bring their family back together. Also aiding in Parvana’s quest is her own limitless imagination, a virtue that comes in handy to keep her mind and heart focused as she confronts a real-life horror around every corner. Having previously directed the animated short films From Darkness and Backwards Boy and made her feature debut as the co-director of The Secret of Kells, Irish animator and filmmaker Nora Twomey decided to take on Deborah Ellis’ acclaimed 2000 best-selling children’s novel The Breadwinner as her first solo directorial effort. Ellis co-wrote the screenplay with Anita Doron (The Lesser Blessed), with Oscar-winning actor/filmmaker Angelina Jolie serving as one of the executive producers. Twomey and her creative team approach the potentially upsetting thematic elements and cultural backdrop of Ellis’ novel with intelligence and respect and refuse to sugarcoat the horrific conditions Afghan women must live with daily under the violent, repressive Taliban regime. The world that Parvana inhabits is one where the punishment of the women of her homeland for committing the slightest violation of sharia law is harsh and brutal, and like many heroes throughout the history of fictional storytelling, she uses the power of her limitless imagination to provide her with escape and inspiration. 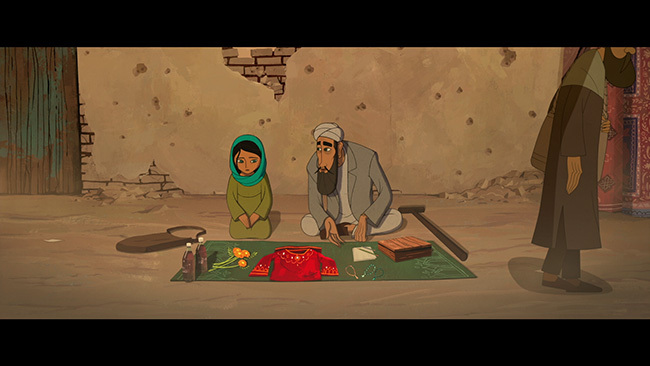 The fantastical elements of The Breadwinner’s story take the form of stories of adventure and amazement Parvana would tell her little brother Zaki to entertain him, stories that she must call upon to help her overcome the violence that is consuming Afghanistan as she fights to bring her father home. 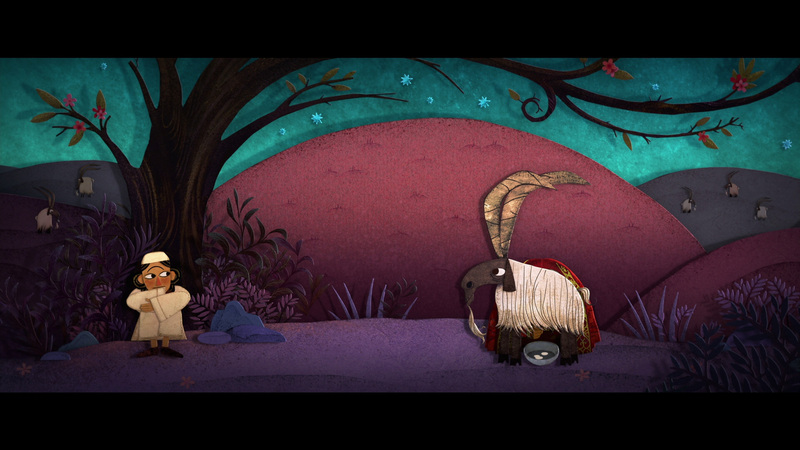 The animation, which was done primarily at the Cartoon Saloon (a studio in Kilkenny, Ireland that Twomey co-founded), is beautifully accomplished. 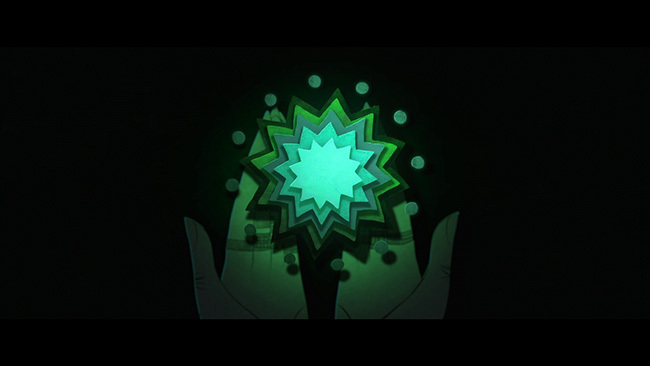 It shifts effortlessly between the traditional cel-animated style used to portray Parvana and her real-world struggles and a cut-out style for the story-within-the-story sequences where their characters are visualized as figures of paper of many dazzling colors. 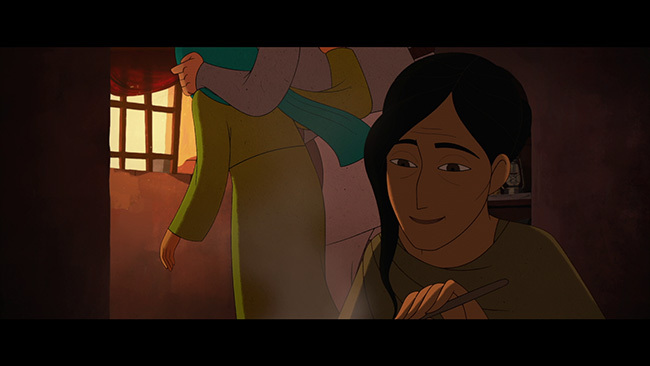 Twomey employs these scenes where they are needed most in the narrative, but never allows them to distract from or overwhelm the heartrending emotional journey Parvana undertakes for her family. Saara Chaudry provides a voice for the main character that rings with the hope and loneliness of lost youth and is a superb vocal performance. 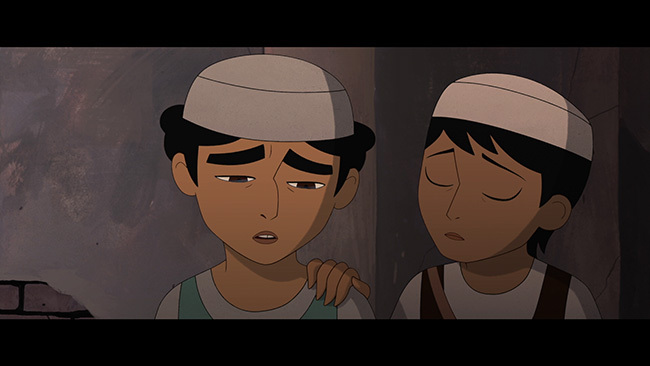 The rest of the cast delivers equally amazing work providing the necessary support to Chaudry’s lead, while the haunting score composed by the brothers Danna – Jeff and Mychael (The Boondock Saints, The Good Dinosaur) – incorporates Middle Eastern motifs in the creation of a musical tapestry that perfectly compliments the adventure upon which Parvana embarks and provides the narrative backbone of this outstanding film. The Breadwinner is destined to be remembered as one of the best animated features of modern times, and deservedly so. 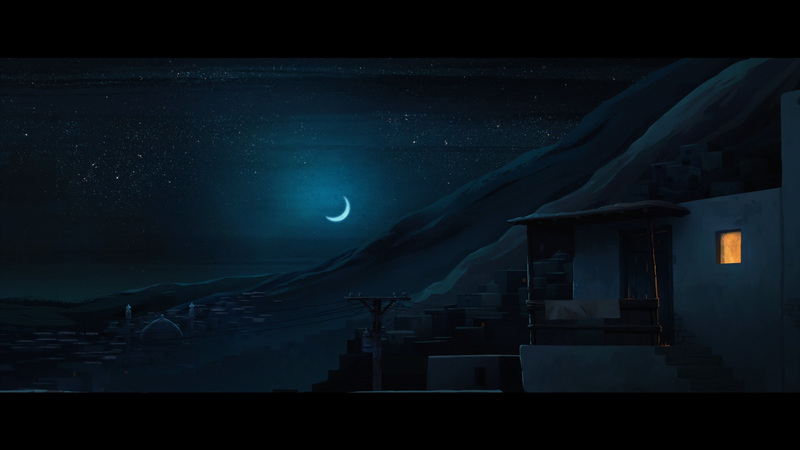 The Breadwinner looks absolutely beautiful in its Blu-ray presentation. Framed in its original 2.39:1 widescreen aspect ratio, the 1080p high-definition transfer is a visual feast of vibrant colors and astonishing detail that highlight with welcome clarity the imagination, heart, and soul the filmmakers put into every pain-staking frame of animation. Texture is strong and sharp. The lossless English DTS-HD Master Audio 5.1 track is rich with audible dialogue and music and ambient effects that integrate into the overall mix without resulting in distortion and create an immersive listening experience that provides the perfect compliment for the eye-pleasing animation. English subtitles have also been provided. The main feature comes with the option of watching a brief introduction video with director Twomey and executive producer Jolie. 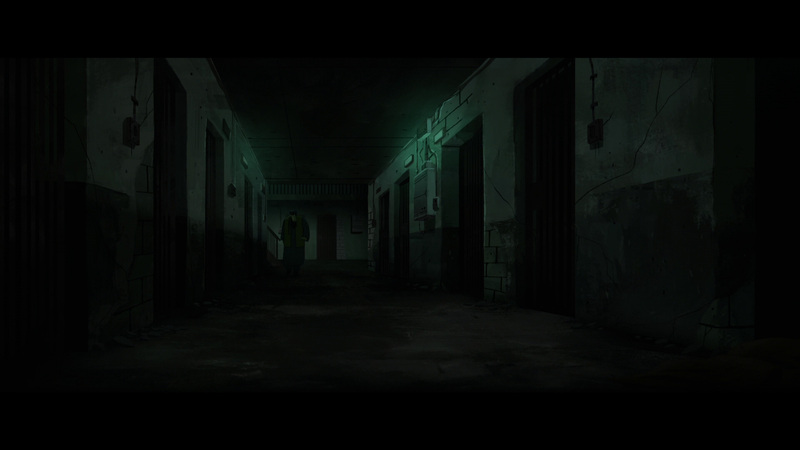 Twomey returns for a commentary track that pairs her up with co-art director Ciaran Duffy, sequence director Jeremy Purcell, and animation director Fabian Erlinghauser. The quartet engage in a lively and informative chat that dives deep into every critical aspect of the production. 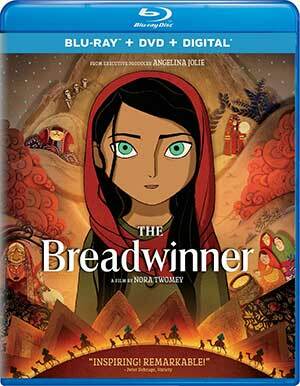 Next up, the four-part documentary “The Making of The Breadwinner” (28 minutes) explores through behind-the-scenes footage and cast and crew soundbites most of what was discussed in the commentary. Rounding out the disc-based extras is a trailer for the film (2 minutes) and trailers for other animated features produced by GKids: Song of the Sea, Miss Hokusai, My Life as a Zucchini, and Boy and the World. The first three play upfront when the Blu-ray is loaded. Also included are a DVD copy and digital download code. The Breadwinner is a fearless work of cinematic art that brilliantly uses the form of animation to tell a heartfelt, provocative story about how the power of love and imagination can help us take on and defeat the most overwhelming odds. 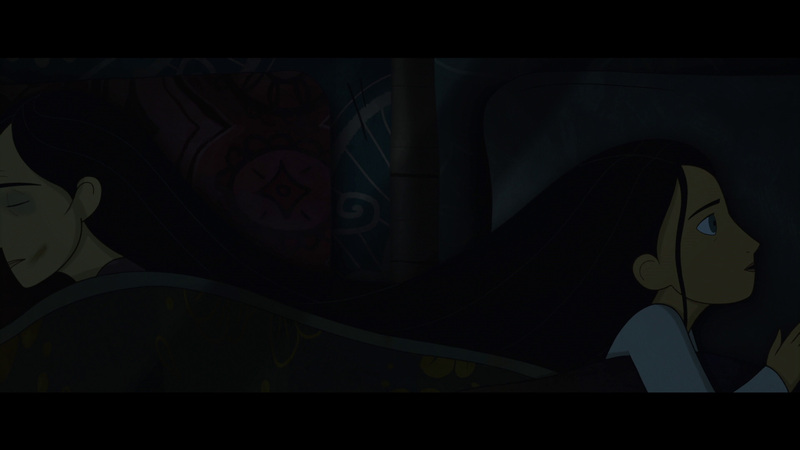 It’s truly a breathtaking film with tremendous visuals and stellar vocal performances, and it ranks among the finest animated features of this century so far. The Blu-ray earns the highest marks with a stunning HD transfer and superlative bonus features. Highly recommended. 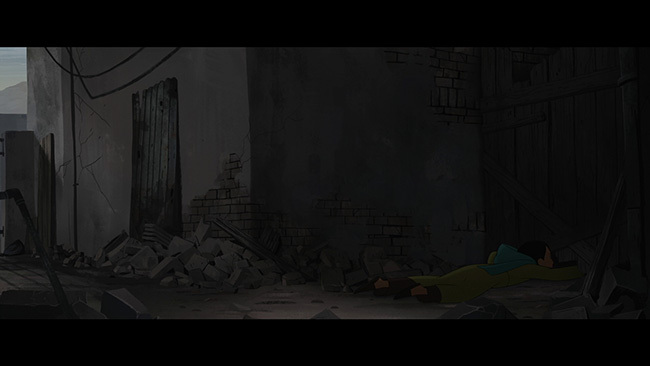 Click on the images below for full sized The Breadwinner Blu-ray screen caps!